Hello, I am Ken Zapp, owner of PDK Tree & Lawn Service. In 2000, when I started the company, we were small, of course, and focused on the basic yard and tree work. Since then, we have grown to multiple employees and have invested in a lot of equipment which helps us to expand our service to our customers. We have both residential and commercial accounts. Often people hire us on a maintenance basis - we take care of their yards and lawns - automatically - relieving their burden and stress. 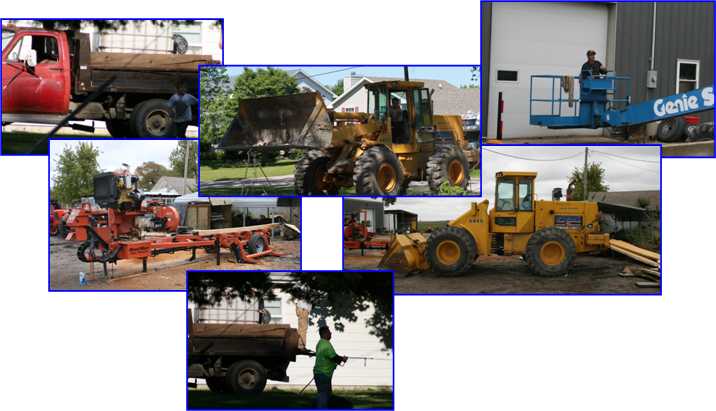 Below are pictures of some of the equipment our company has available to assist with larger jobs.